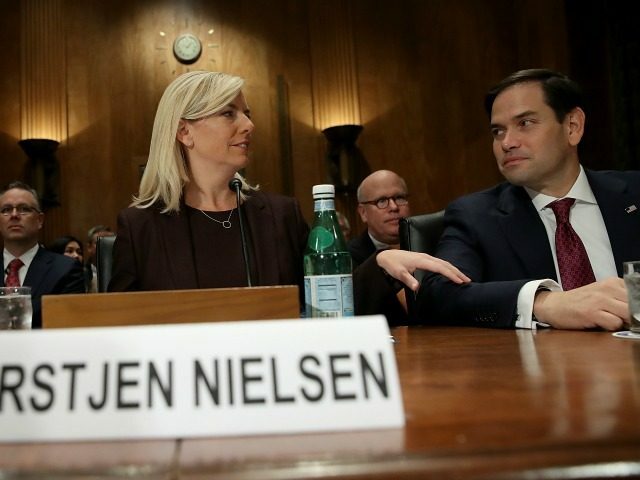 Trump’s nominee Kirstjen Nielsen sat before the Senate Homeland Security and Governmental Affairs Committee, alongside Sen. Marco Rubio (R-FL) as Sen. Rob Portman (R-OH) read complimentary letters from former Bush officials Tom Ridge and Michael Chertoff. “She brings operational experience as well having managed the day-to-day operations of the Department,” Ridge wrote of Nielsen in his letter. 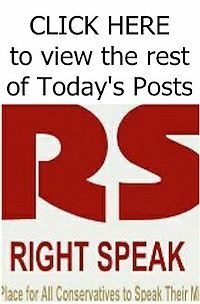 “Simply put, she is ready to hit the ground running on day one,” Ridge wrote. Likewise, Chertoff wrote “Kirstjen offers our nation the credentials required of a secretary in today’s environment,” citing her experience in the aftermath of Hurricane Katrina under Bush. Nielsen’s ties to Ridge and Chertoff show a pattern in which the DHS nominee has allied herself with pro-amnesty, open borders establishment-types and former Bush officials.